Founded in 1943, ReSound is a Danish manufacturer of hearing aids. ReSound’s mission is to “help people rediscover hearing so they can live rich, active, and fulfilling lives.” ReSound has introduced important industry firsts: an open-standard digital chip, Wide Dynamic Range Compression (WDRC) sound processing, and Digital Feedback Suppression (DFS). Both WDRC and DFS give wearers clear sound without whistling or buzzing. ReSound provides wearers of their hearing aids with natural, clear sound and a comfortable listening experience. ReSound conducts research worldwide to create technology that is applicable to real-life situations. 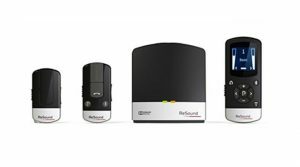 Now with offices in 25 countries and distributors in more than 80 countries, ReSound continues their mission to provide people worldwide with sophisticated hearing technology. As the “world’s smartest hearing aid,” the LiNX 3D Made for iPhone is the second generation of ReSound’s most popular model. LiNX 3D updates the processing platform of its predecessor and provides wearers with new and improved features. LiNX 3D provides wearers exceptional sound quality, speech understanding, and spatial awareness. As a Made for iPhone hearing aid, LiNX 3D allows people to connect to their devices to stream phone calls, FaceTime, music, movies, and other media directly to their ears. Using the iPhone’s GPS, wearer preferences are geo-tagged and archived. When you return to a saved location, your LiNX 3D aids will automatically adjust, providing a truly natural and seamless listening experience. Connection to the iPhone also provides wearers with extra amplification, if necessary. By activating the iPhone’s microphone, sounds are picked up, amplified, and streamed directly to the LiNX 3D aids. 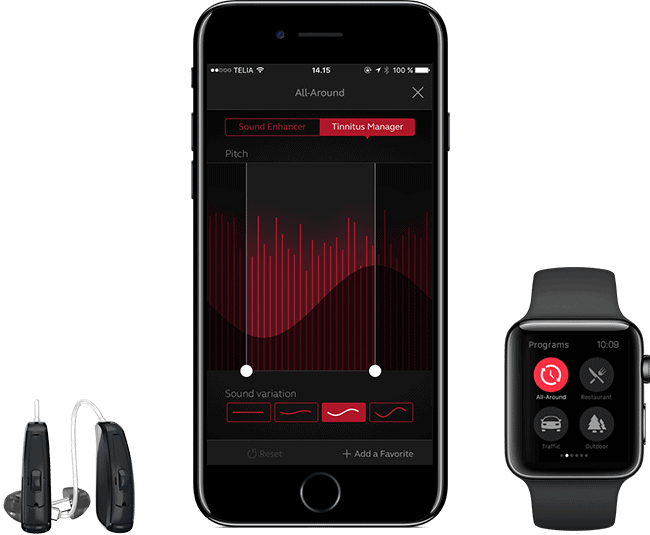 This feature, Live Listen, is available on the ReSound Smart app, which connects LiNX 3D to iPhones. The Smart App provides ease of control, as well. Wearers may adjust preferences, volume controls, and change programs with discretion on their smartphone, rather than fiddling with buttons on the hearing aid. These technological advancements are just one exciting part of the overall LiNX 3D experience. 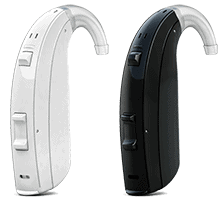 ReSound has designed the LiNX 3D to support the hearing process. Features such as Surround Sound, New Binaural Directionality II, and Spatial Sense work in conjunction to capture the sounds of your environment and provide clarity, amplification, and improved speech recognition. Surround Sound and Spatial Sense helps you locate the source of sound within 360-degrees of your listening environment, while Binaural Directionality balances audio from both ears. These features support the brain’s natural ability to process sound and recognize speech. invisible-in-canal, in-the-ear, receiver-in-canal, and behind-the-ear. For people with higher degrees of hearing loss, ReSound offers the ENZO2, a super-powered aid. With heightened speech recognition and spatial awareness features, ENZO2 provides a comfortable listening experience. Features available with ENZO2 include New Binaural Directionality II, Spatial Sense, and Surround Sound, as well as feedback cancellation, comfort in noise and in wind, and speech focus. The ENZO2 is a behind-the-ear hearing aid, available in three power levels: Power, High Power, and Super Power, depending on the wearer’s needs. ReSound offers a line of pediatric hearing aids for kids and teens who experience hearing loss. Pediatric hearing loss could greatly affect social and verbal development in children. Up Smart is a durable and smart line of hearing aids that are simple to use and withstand the active lifestyles of young people. Accessories are available to amplify sound in academic settings. Up Smart hearing aids are behind-the-ear style aids, which accommodates growth spurts in kids. All ReSound hearing aids are fully customizable to meet specific hearing needs. ReSound hearing aids are also equipped with the option of tinnitus therapy, synthetic sounds that relieve symptoms of tinnitus. For people who need extra amplification, ReSound offers a line of assistive listening devices with options such as the TV Streamer and Phone Clip. These accessories increase accessibility for wearers, while giving them ease of control over their devices and hearing aids. They also offer wireless connection to home entertainment systems.